Never received a freight shipment? No problem! 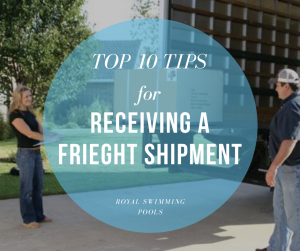 We at Royal Swimming Pools have put together our TOP 10 TIPS for receiving your freight shipment! 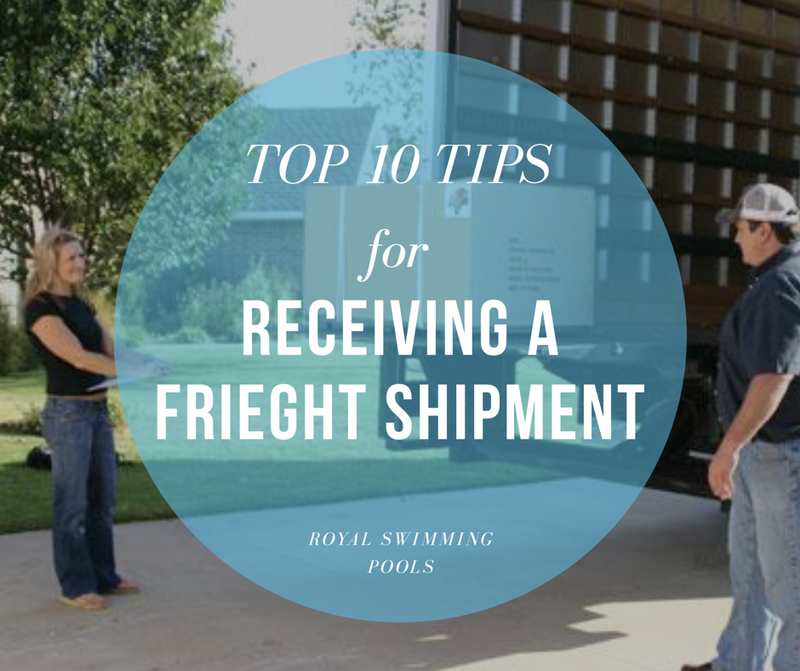 Also, once you order a Royal Swimming Pool, we email you a more in-depth Delivery Process Guide that includes these tips and many more! Just another way that we want to ensure your best pool buying experience from start to splash! As always, if you have questions, contract support@royalswimmingpools.com for extra insight! #1 The delivery will be curbside, so the delivery location must be accessible for an 18-wheel truck! The actual delivery location is the discretion of the delivery truck driver. #2 You must be present at the time of delivery and good news -You work directly with the delivery company to schedule this appointment! Easy! 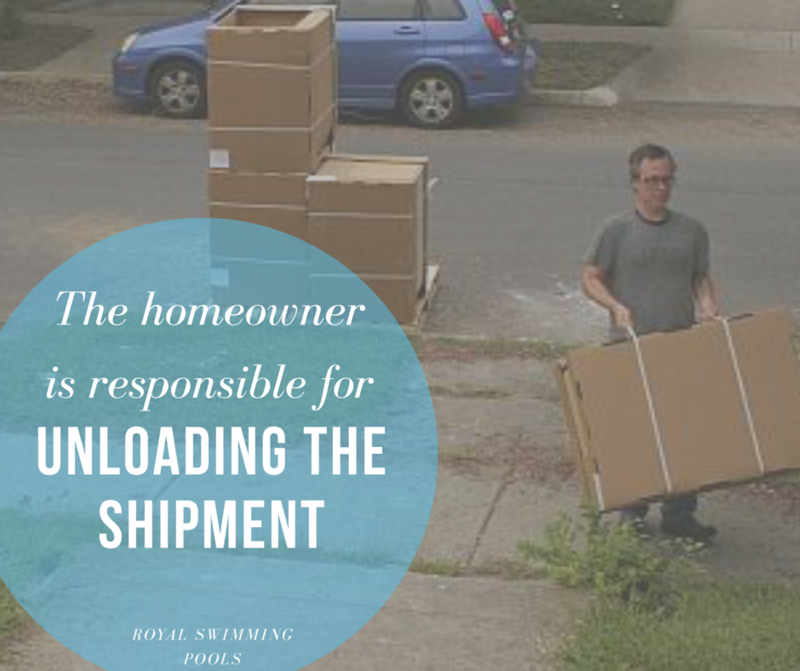 #3 The homeowner is responsible for unloading the shipment. We strongly recommend having 2-3 people available to help unload. #4 Lift gate service is an option that may be offered for deliveries. This service will help lower the shipment down to the curbside however it is not always available nor will it accommodate large pallets. 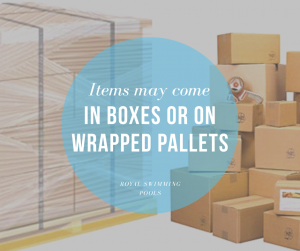 #5 Shipments may be sent on pallets with multiple boxes and/or shrink wrapped. The plastic wrap and boxes should be in tact and damage free upon delivery. #6 Remove the plastic wrap to check your order with the driver’s delivery ticket. You are checking to make sure that the number of items received matches the number of items on the driver's delivery ticket. This is the time to compare the carton numbers and descriptions in the same manner as well! 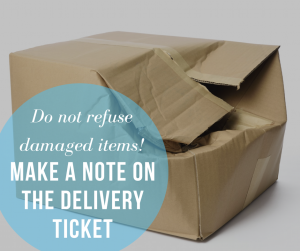 #7 Be sure to notate any damage on all Delivery Ticket/ Bill of Lading copies and take pictures of the damaged items/area. 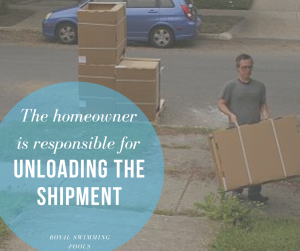 #8 BEFORE you sign for the shipment, your delivery driver must allow you to inspect the shipment for damage and to ensure that you receive the correct items according to the delivery ticket. Even if they claim to be in a hurry, this is your right as a homeowner. #9 If there is visual damage on the packaging, you still want to keep the shipment. Write on the delivery ticket, "DAMAGE TO PACKAGING." Then take pictures of any and all damages and a picture of the driver's copy of the delivery ticket with your note on it. #10 Remove any wrapping and open boxes if necessary to check for damaged items. 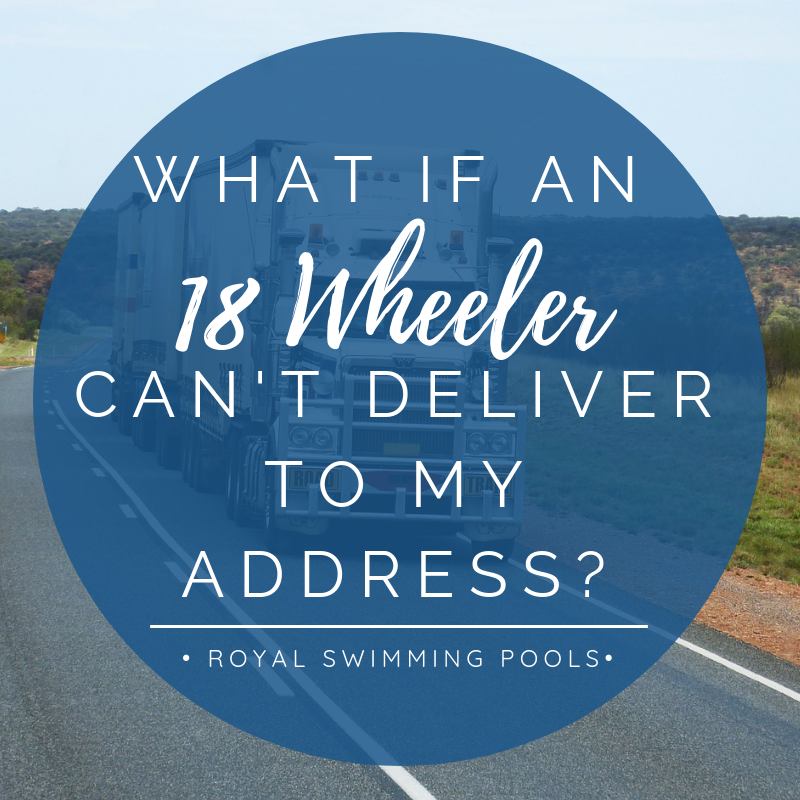 A damage claim cannot be filed with Royal Swimming Pools or its suppliers after the delivery ticket is signed unless all the damaged is notated on the delivery ticket. 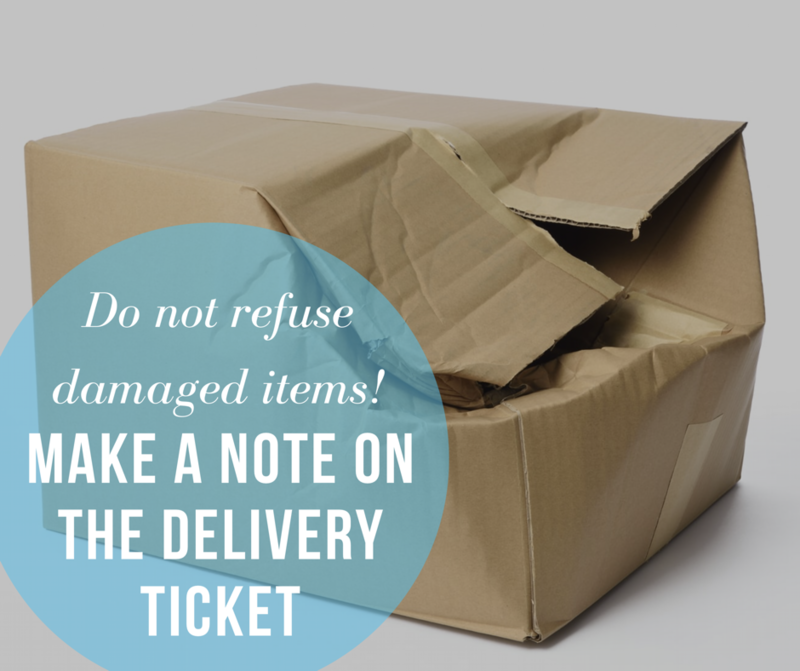 Keep in mind that just because a package has damage, it does not mean that you items are damaged. 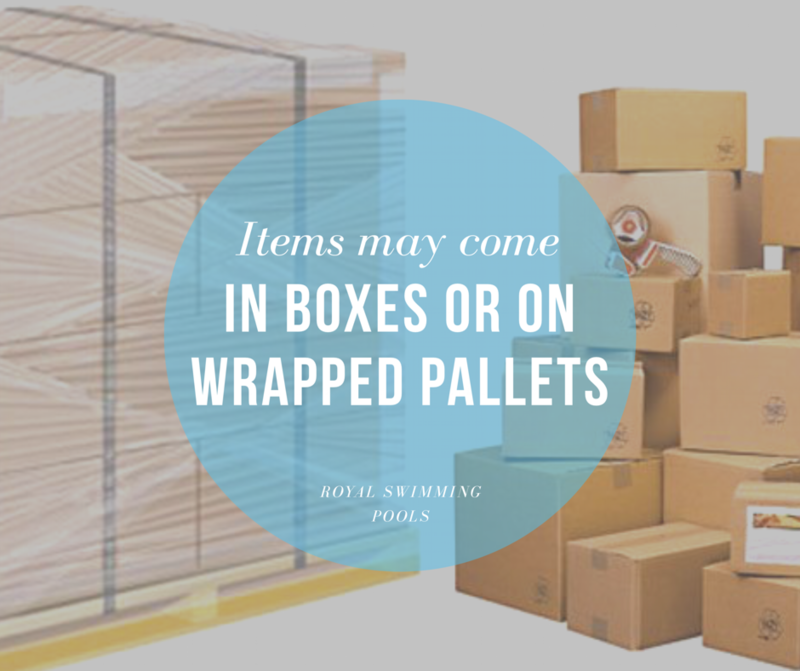 Even if dented or dinged boxes, more often than not your pool parts are still in perfect condition. Don't stress too much if you see a damaged carton, just note it!